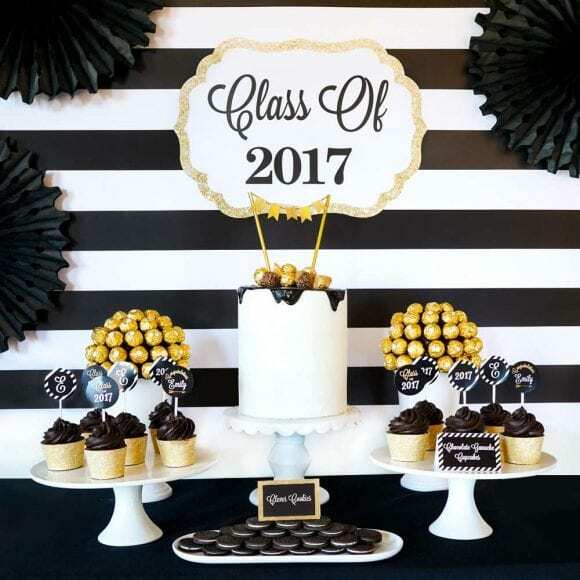 This black, gold and white graduation party dessert table just oozes style and sophistication! Can't think of a better color themed and love the simple but classy backdrop and sweet treats! 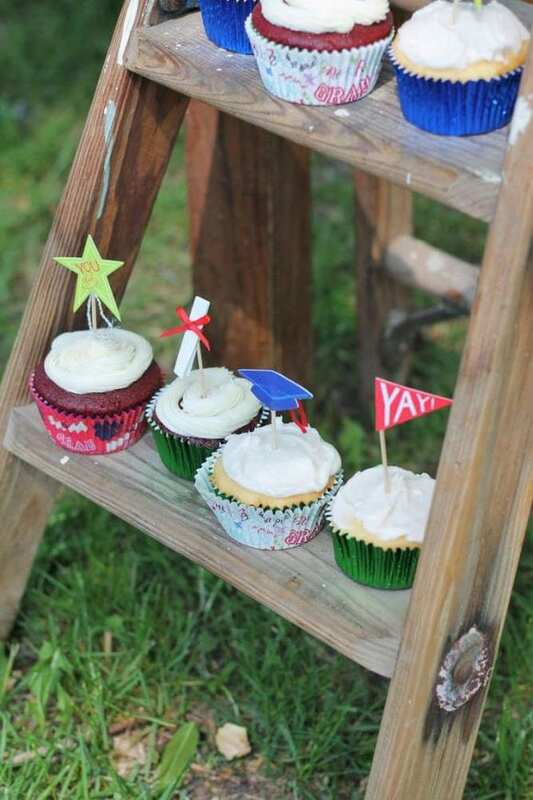 How amazing is this circus themed tiered graduation cake?! 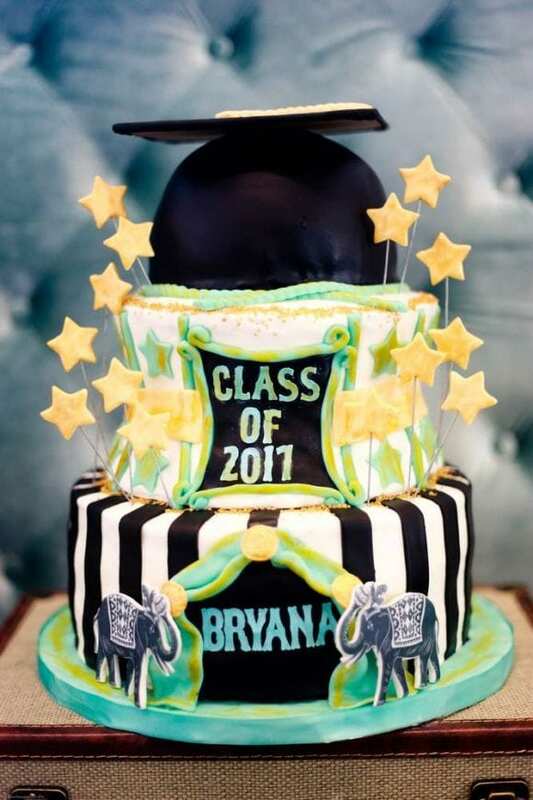 Love the fondant stars sticking out of it and the top tier graduation cap. 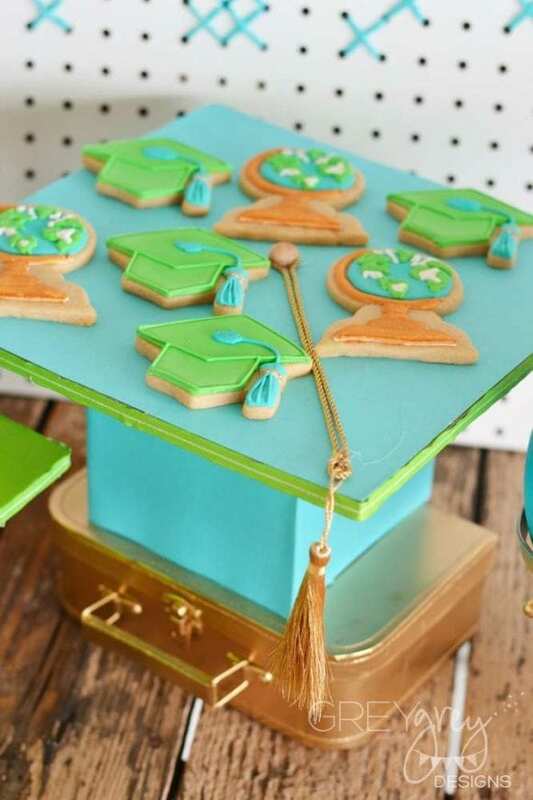 The graduation cap and globe sugar cookies are so cool! They are a perfect addition to a dessert table. 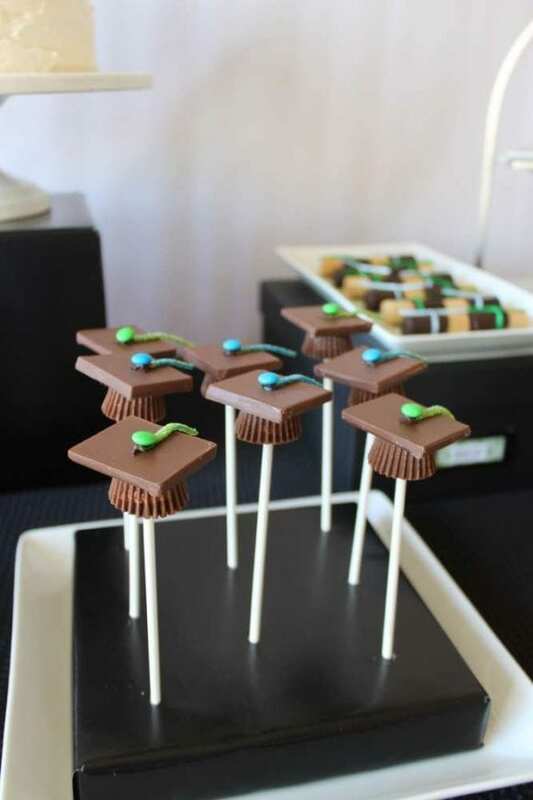 What could be more in theme than these awesome graduation cap treats? They are super simple to make. Check out the recipe here! 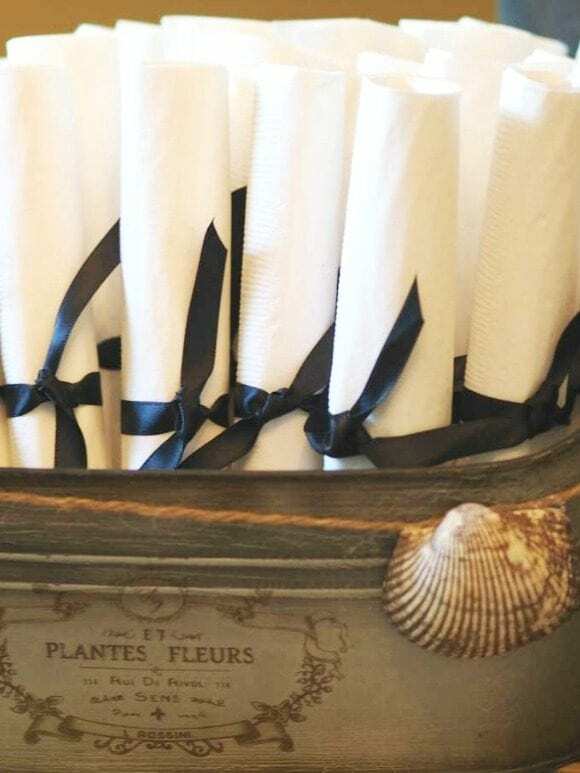 Serve diploma inspired napkins at your graduation party. Simple roll them and tie them with a ribbon and you're good to go. Couldn't be easier! 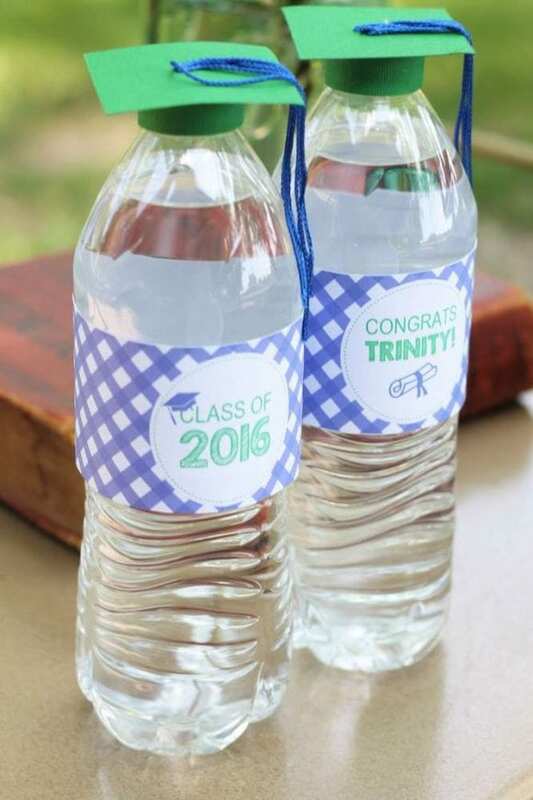 Check out these easy graduation water bottle caps. They are so simple to make and look fantastic. Simply cut out a bunch of squares that are the same color as your water bottle cap and glue them to it. Then finish them off by then gluing some colored string and you're done! 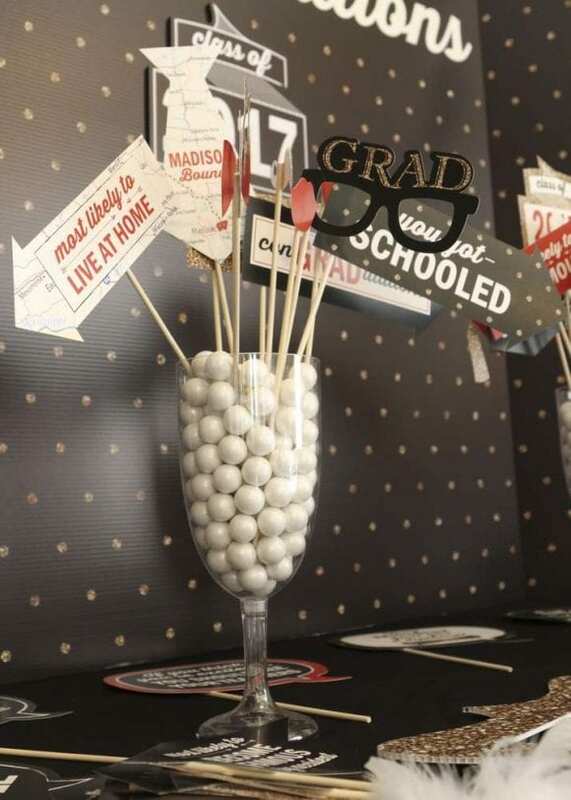 Decorate the table at your party with an awesome graduation inspired centerpiece like this one. All you need is to print and cut out an illustration of graduation cap (or even a diploma) and some flags with the students name and year. Glue them to some straws and place them in a decorated vase or tin. If you are looking for wonderful decoration idea then look no further! 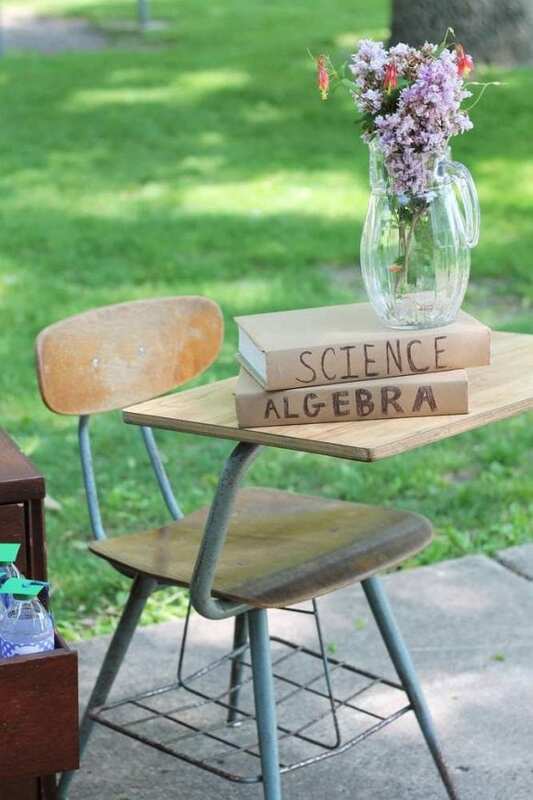 Try to get a hold of some vintage school furniture and some old school books and place them at your party. They'll make a great addition! 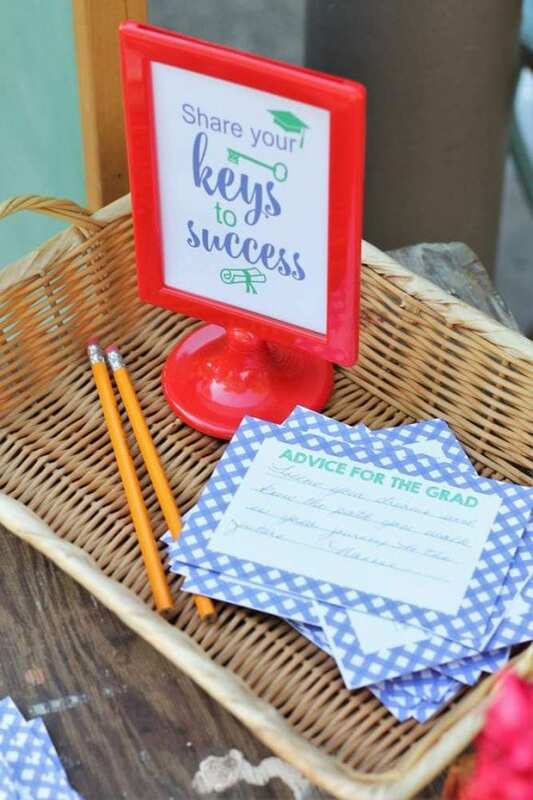 Sharing advice for success after a graduation is not only useful but a wonderful keepsake to treasure. All you have to do is provide your guests with little cards to write on and some pens. These words of wisdom are sure to inspire. What a better way to make memories then have your guests fool around with some fun photo booth props while having their photos taken. They are guaranteed to have lots of laughs! 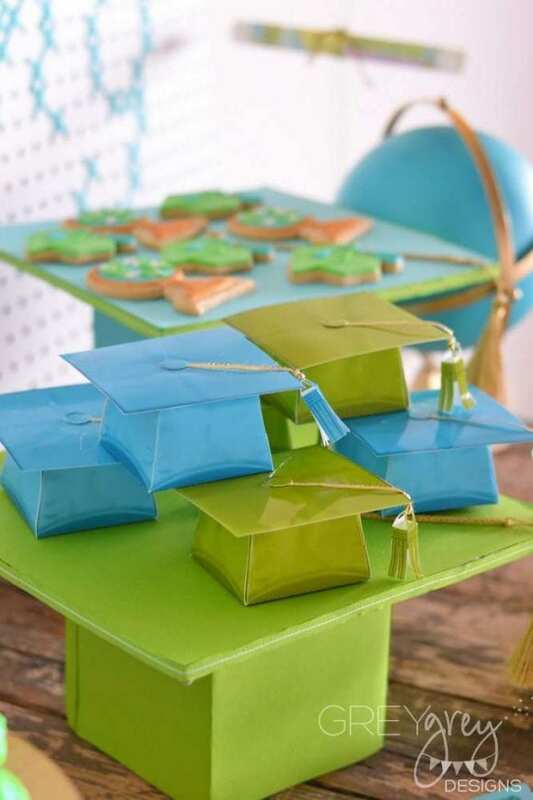 Send your guests home with some fun graduation cap party favors boxes filled with goodies. They'll also look make an awesome decoration! 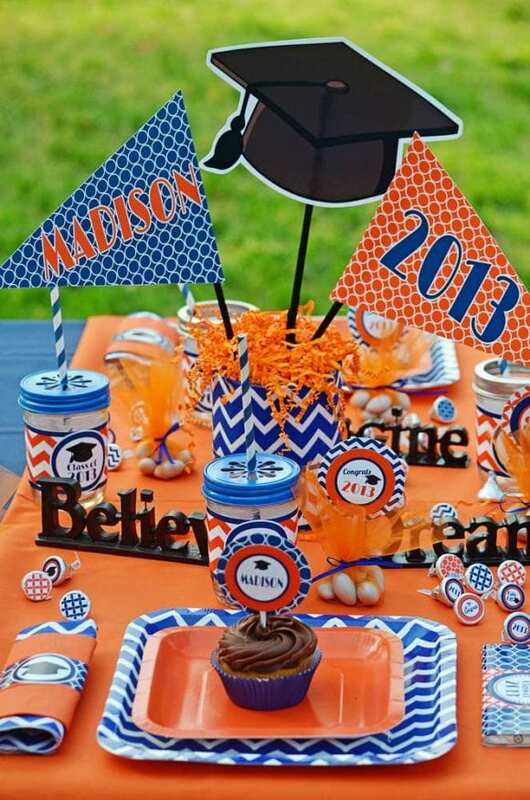 For more inspiration, check out all these fantastic graduation party ideas on our site, our free graduation party printables, and check out these graduation party supplies from vendors with listings on Catch My Party! Hi i wanted to know from where can i buy all the party decoration. Can i buy from Pinterest or which one is the best place to buy as i m starting my event orgenising business.